Great for stash reduction. 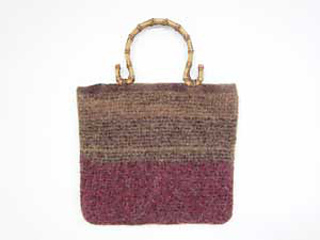 Alternate solid colors with a variegated yarn to make a striped bag. Add novelty yarns for texture. Anything goes! Attach purchased handles or make felted handles to match.